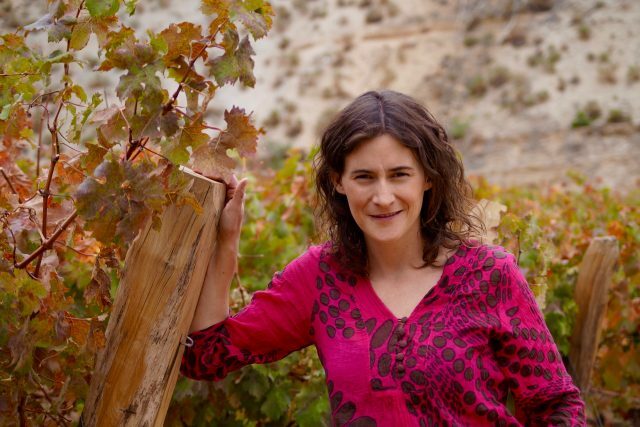 Chilean winemakers have grown in confidence and are no longer making their wines to a recipe or chasing scores, according to Emily Faulconer of Carmen. Speaking to the drinks business during a recent visit to Chile, Faulconer said: “Cabernet Sauvignon from Chile has changed so much since the ‘90s, having evolved from the Michel Rolland-inspired style into the 200% new French oak and 15% alcohol style of the early noughties. “There’s much more regional identity now – it’s not just Cabernet from Chile anymore, there’s a lot more to it”. Faulconer, who took over from Sebastian Labbé as chief winemaker of Carmen in June, believes there has never been a more exciting time to make wine in Chile. “There is a bigger vision of what we can achieve in Chile now,” she told db. “We’ve talked about diversity a lot in Chile and have proved we can innovate, we now need to focus on how we can establish ourselves as a quality wine producer in the longterm. In terms of Chile’s most exciting emerging regions, Faulconer sees great potential in the south of the country and envisages more producers venturing south in search of freshness in their wines. But as alluring as Chile’s emerging regions are, Faulconer believes Chile’s more traditional regions like Maipo also have a lot to offer. “We’re starting to communicate about our old vines in Maipo, which are really special and a privilege to work with. We’re beginning to appreciate them and our patrimony,” she said. As for making her mark on Carmen, Faulconer is keen to leave a lasting impression. “One tends to put their stamp on their wines so change at Carmen is inevitable, but it will be more about fine tuning,” she said. Recent additions to the Carmen range include an old vine Semillon from Apalta, a Moscatel from Itata and a Malbec from Colchagua. Having chalked up experience at Cakebread Cellars in Napa, Trinity Hill in New Zealand and Château Canon in Bordeaux, Faulconer was most recently chief winemaker at Viña Arboleda, Eduardo Chadwick of Errazuriz’ boutique project on the Aconcagua Coast.